Published on September 8, 2014 by Martyn. Be the first to comment! I’m delighted to announce that I’ve been commissioned to write a short story about the Battle of Orgreave. The story will feature in Riotution, a new anthology of fiction about riots, marches, protests and other episodes of revolt, revolution or unrest in history, being compiled by Manchester-based independent publisher, Comma Press, for publication in 2015. Comma has paired a number of writers with specialist historians, who will act as research consultants. I’ll be researching my story in collaboration with social historian Prof. David Waddington, of Sheffield Hallam University. The idea is that the authors will write fictional stories about fictional characters caught up in actual historical events. I did something similar in one of my novels – Exit, Orange & Red – which is partly set in Victorian Sheffield during a period of industrial conflict among metalworkers. The commissioned writers have been given a wide range of events to choose from, including the Peasants’ Revolt of 1381, the Inca resistance in 1571, the Indian mutiny in 1857, the anti-Vietnam War march on Washington in 1965, the Prague Spring of 1968, the IRA hunger strikes of the 1970s and the Tahrir Square protests in Cairo, in 2011. When I looked down the list, my attention was immediately drawn to Orgreave. 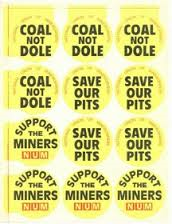 The 1984-85 miners’ strike has always fascinated me and the violent clashes between the police and pickets at the Orgreave coking plant in June 1984 were a pivotal and defining moment – not just in that strike but for contemporary British political and social history. I was teaching English in Hong Kong that summer and I remember being shocked and upset by the footage on the television news from back home. I couldn’t quite believe what I was seeing. I’m looking forward to working with Prof. Waddington on the research. He was at the Battle of Orgreave as an academic observer and is now one of the UK’s foremost experts on the miners’ strike and its aftermath, as well as on the policing of public disorder. This is the second story for Comma Press in which I’ve been paired with an academic expert, following my collaboration with Dr James O’Shea, at Manchester Metropolitan University, for Beta-Life: Stories from an A-life Future, a science-fiction anthology which is being published this autumn.